Shigeru Miyamoto has never even heard of the movie that introduced Super Mario Bros. 3 to North America. In an interview with Popular Mechanics, Shigeru Miyamoto was asked various questions about the history of Mario, the future of gaming, and whether blowing in a NES cartridge actually does anything or not. 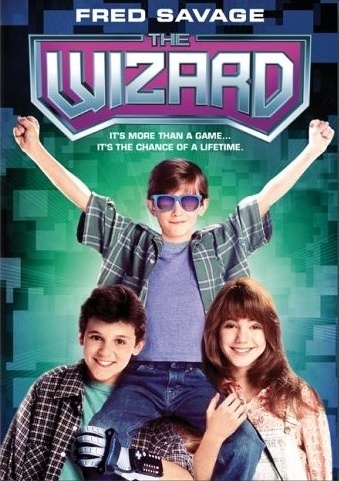 In a bombshell reveal, Miyamoto disclosed that he's never even heard of The Wizard, a movie that was basically an advertisement for Nintendo, and also gave North America its first look at Super Mario Bros. 3 while feeding everyone's desire to be a troubled child that is really good at videogames. When asked about The Wizard, Miyamoto replied with: "I'm not really familiar with that movie." Uh, what Miyamoto? He's never seen The King of Kong either. I would think that if anybody ended up making a major motion picture about a creation of mine, I would probably at least know it exists. Plus, The Wizard revealed some of the first gameplay footage of one of the biggest Mario titles of all time to an entire continent, and proved how awesome the Power Glove is. And Miyamoto even also says he watches "a lot of movies!" Fail, Miyamoto, fail. But, I still love the man, especially because of how awesome New Super Mario Bros. Wii looks. Could this be the true sequel to Super Mario World that I've been waiting for, rather than the fun, but a little bland New Super Mario Bros. DS? Miyamoto further divulged that he's "focusing on creating the next Zelda game," and though this was already common knowledge, it's nice to know that Zelda is a current focus of his. He did give a slight clue as to what might be coming in regards to future Nintendo consoles, saying: "My guess is that because we found [the Wii's] interface to be so interesting, I think it would be likely that we would try to make that same functionality perhaps more compact and perhaps even more cost-efficient." In other words, really small controllers that are cheap to make but still expensive to purchase, I gander. As for Miyamoto's opinion on blowing into a NES cartridge, he's not really fond of the practice, even though he admits it could work. He explains: "Surprisingly, some of those rituals do seem to help ... But I think it's important to understand the principles for why some of those things might work. For example, if you blow on something, you might get moisture in there and the moisture might help make the connection work better. Really, what I should say is that if you have cartridges that you have trouble working, you should get the official cleaning kit." Buy an official Nintendo cleaning kit, today!